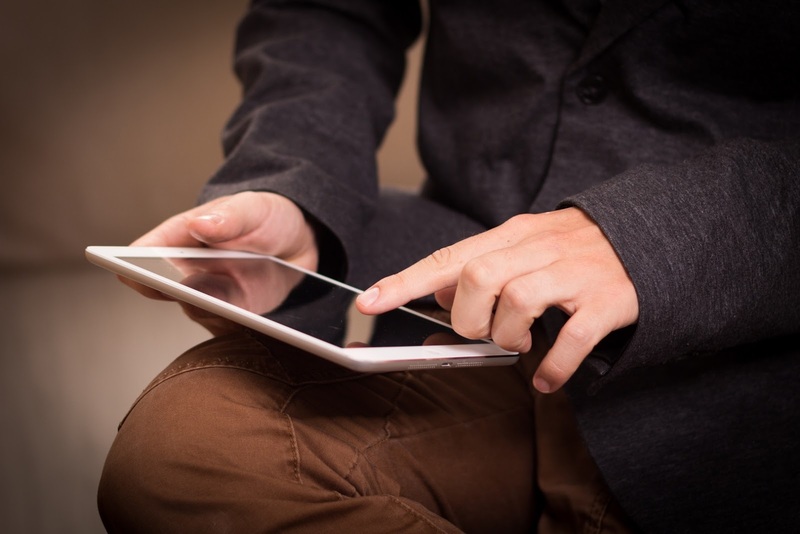 The New Adaptive Quizzing Tool Is Available! Did you know that there's a new version of Elsevier Adaptive Quizzing (EAQ) now available for Anatomy & Physiology 10th edition? I've mentioned the value of EAQ in the past, but this version has been updated and enhanced to be an even more valuable learning and teaching tool! 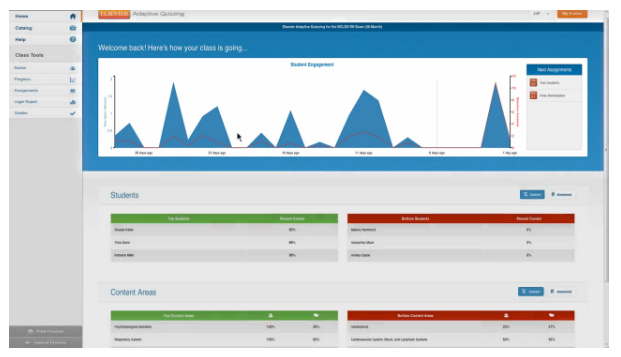 Have you ever wished that you could tell where your students are struggling with content by just glancing at a dashboard? Wouldn’t it be amazing if your students were being quizzed on material they’re struggling with versus material they’ve already mastered? How would you like to create a quiz or a test that adapts to your student’s needs, in just 3 easy steps? Check out this 1 minute video below to show you how! Set up an EAQ quiz in 3 easy steps! My friend Ashley Nagel over at Elsevier Publishing is hosting a 30-minute live demo on EAQ for Anatomy & Physiology 10th edition on Thursday, October 4th at 1:00 PM CST. If you attend, Ashley will send you a fantastic gift that’s fit for an A&P Instructor! If you’re unable to make it to this demo, but would like to set up a private demo at a time that better works for your schedule, still register for this meeting and then shoot Ashley an email at a.nagel@elsevier.com . She’ll be happy to set up a time with you! In my previous article, I gave some reasons why in the Anatomy & Physiology textbook I avoid possessive form for all eponyms (which I lump together with toponyms) and avoid capitalizing eponyms in which the name is converted to a different form. 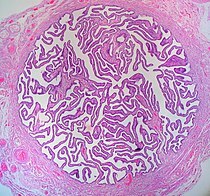 For example, I use Henle loop instead of loop of Henle and I use eustachian tube instead of Eustachian tube. Next, why are eponyms usually presented as only the secondary or alternate term? For example, why is the term preferred in the textbook pancreatic islets and not islets of Langerhans or Langerhans islets? It turns out that this is another contemporary trend that I agree with. Eponyms can be problematic. As much as I love saying Islets of Langerhans out loud—and I truly do—the term does not tell anyone much about the actual structure. Okay, it tells me that they are small and isolated, which I get from the term islets. However, the eponym doesn't tell me where to find them. Or what they do. Or much of anything very useful. But pancreatic islets tells me much more about them. Not everything, of course—but such descriptive terms tell me much more than does the eponym islets of Langerhans. Another potential problem with eponyms has to do with the people themselves. For example, recent discussions of Hans Asperger have expressed concerns about a potentially complicated relationship with Nazi "race hygiene." Although named for him, the condition Asperger syndrome (AS) may have been first described nearly two decades earlier by a Russian woman working in the field of child psychology. Besides that, the Asperger eponym has been dropped from the ICD (International Classification of Disease) and the DSM (Diagnostic & Statistical Manual of Mental Disorders) in favor of a new range of conditions under the umbrella term autism spectrum disorder (ASD). In general, the ICD and DSM usually consider eponyms as secondary alternatives to "proper" disease terminology. 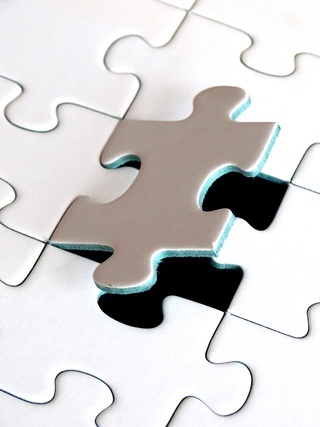 There are several issues at play with terms like the Asperger eponym. One is the fact that many (perhaps most) eponyms recognize the individual with the best awareness ratio, most aggressive supporters, and (probably mostly) lucky timing—not necessarily the person(s) most deserving of recognition. Another issue is the fact that we don't want to be reminded of Nazi ideology or atrocities when we are using scientific and medical terminology—nor are we anxious to honor individuals who may have used morally questionable methods or have other unsavory qualities. Yet another potential issue with such eponyms is that they may reflect the dark underbelly of the history of science. For example, Asperger syndrome may have been first described by a woman—but the condition was named for a man. This case is probably more about luck of timing and particulars of awareness of the existing literature at a time when scientific reports were not as easily accessed across the globe as is the case nowadays. However, it can't be denied that most eponyms are named for men and that probably reflects the historical exclusion of women from science—and from scholarly endeavor in general. A number of discussions have also questioned why many anatomical structures that are uniquely female are named with eponyms that honor men such as Fallopius, Bartholin, Skene, and so on. Even though this my second consecutive article on the topic of eponyms, I'm still not finished! Stay tuned for Part 3 of my discussion...coming up in my next blog post. In that, I discuss the various lists of terminology and how we A&P teachers can best help our students deal with a changing terminology during this time of transition. 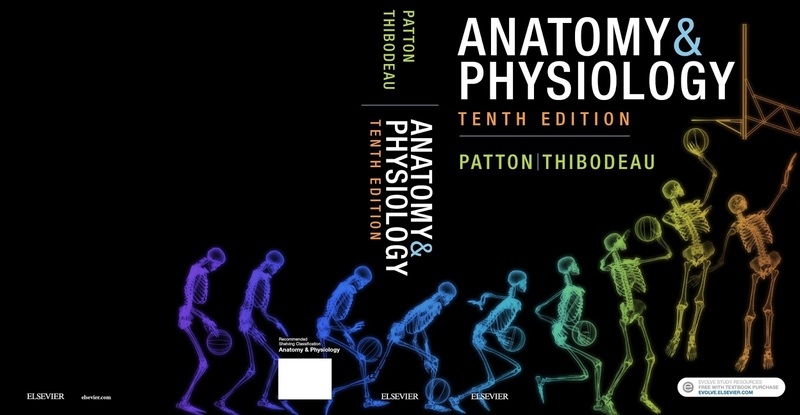 New 10th Edition of Patton's A&P textbook is now available! I'm excited about the official release of the new edition of my textbook for 2-semester courses in human anatomy and physiology! Although at first glance the cover of Anatomy & Physiology looks similar to that of the previous 9th edition—black background with splashes of bright colors—closer inspection reveals a series of bright human figures. Those brightly colored human figures may at first appear to be medical images. However, they are artist’s renderings of what the human skeleton looks like as a person plays basketball. 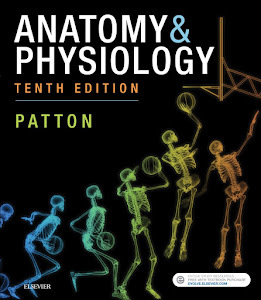 The human skeleton in action represents several important aspects of what readers will learn by studying this textbook. First, the images get us thinking about what is going on inside our bodies as we do ordinary things—as we live our lives. The fact that the cover of Anatomy & Physiology shows a sequence of images reminds us that even simple processes are made up of many individual steps. We can also clearly see that form fits function, that the elements of the skeleton fit together and move in a way that allows certain kinds of actions. That phrase, form fits function, has been standardized into that one formulation—from its many variants—in this edition. I have used it repeatedly, where appropriate, to help students absorb and eventually own that important principle of anatomy and physiology. And a version of this explanation of the cover art is found just inside inside the book. Curious students who pick up the book for the first time may thus get a head start on learning human science. Over the next few weeks and months, expect more posts from me that explain the story behind all the great new things you'll find inside the new edition of Anatomy & Physiology. Stay tuned by subscribing to my newsletter! In the mean time, contact my friends at Elsevier to get a review copy or to schedule a conversation with a consultant who can tell you all about the new edition. NOTE: The digital versions and binder-ready version of Anatomy & Physiology will be released very soon! One of the concepts that co-author Gary Thibodeau and I have considered to be important in our textbook Anatomy & Physiology is the idea of teaching up. What we mean by teaching up is the strategy used by nearly every A&P professor that we know when they add some concepts or facts that go beyond the typical "baseline" content of an undergraduate A&P book. Facts that are not plainly visible in the typical A&P textbook. 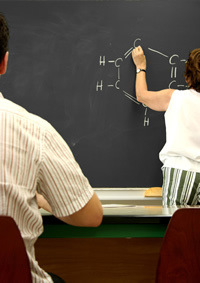 Teaching up is the logical consequence of tailoring learning experiences to individual learners, particular programs, or the unique objectives of a particular course. 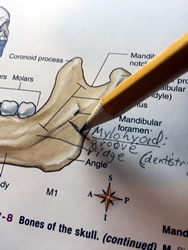 Examples include adding a few additional bone markings to the course when you know that your students are likely to encounter them in their unique clinical courses at your school. Or there may be a particular theme or concept that you want to emphasize, and you need a few more details of anatomy to set the stage for your explanation. In a nutshell, teaching up is taking an introductory textbook (such as Anatomy & Physiology) and adding your own additional content for your unique course. Gary and I have always done our best to make sure that the construction of the text narrative--and especially the illustrations and tables--are suitable for such teaching up. 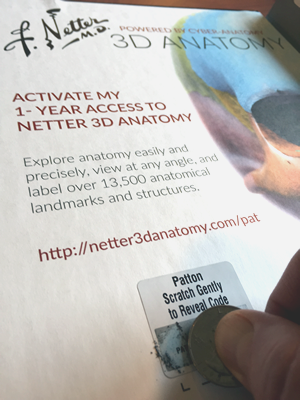 When commissioning new anatomic art, we ask the medical illustrator to make sure that certain features are drawn in, even if they are not called out in the text narrative or labeled in that illustration. We do the same when designing diagrams and organizing summary tables for each chapter. Here's the method I've used (and tweaked over the years) to teach up in my A&P courses. First, when I introduce that extra bone feature (for example), I make it clear that it's not emphasized (or perhaps even mentioned) in the book. One can do this during a live or video lecture, a course outline or syllabus, a handout, announcement in the learning management system (LMS) or course website/blog/twitter, or any number of ways. It's important to take care in emphasizing your deviation from the textbook, because if it is presented in your course in an off-handed way, most students won't realize it's not that way in the textbook, and may fail to make proper note of it. Expanding on that first point about emphasizing moments when I teach up, I want to add that I nearly always specifically tell them to make note of it. Not just mention that it's added content, but to also take a moment NOW and write it down. Really. I often say that out loud: "Really! Write it down now!" Often, it's merely a matter of adding an additional label to an existing illustration, so I may tell them the specific Figure number and show them where to put the new label. Then give them a moment to do so. I even do this in the video lectures I use in my course. Second, when emphasizing the addition of extra content, I often explain the rationale for why I'm adding things. A&P students often feel very overwhelmed by just the baseline content of the course--they want to know why you insist on adding more to their overflowing brains. For example, mentioning that, "I know many of your will be in our nursing clinicals, and I know that this fact is something that will help you there if you learn it now." Or "those who are going into our rad tech program are really going to need to know this fact." Besides letting students know that there is a method to your madness, this strategy also helps them realize the connection between isolated facts and real-world applications. That's not always so easy to see in the basic science courses--before they've encountered their clinical courses. By giving those occasional "why you need to know this" explanations, we are actually shifting the mindsets of our students in a way that helps them learn more deeply. If any of you have some of those "teaching up" concepts that you'd like see reflected in the details of our illustrations, pass your ideas along to me. Please include your rationale for including them in your course. We'll see what we can do make sure we set the stage properly for your teach-up moments! Where Are the Learning Objectives?! From the very first edition, there have never been chapter objectives in Anatomy & Physiology. Why is that? Let me start by asking the question How likely is it that every single course using a particular textbook would have the SAME objectives? Not likely. The makeup of the student population in a course matters. The context of the institution matters. All kinds of factors are involved in setting a proper set of learning objectives for any particular course. We feel that it's much better for the objectives to appear in the course syllabus (or similar course-based location). That way, they exactly reflect what the student should achieve. This results in far less confusion for students trying to reconcile all the many concepts and facts in the book vs. what they will actually be held accountable for learning. 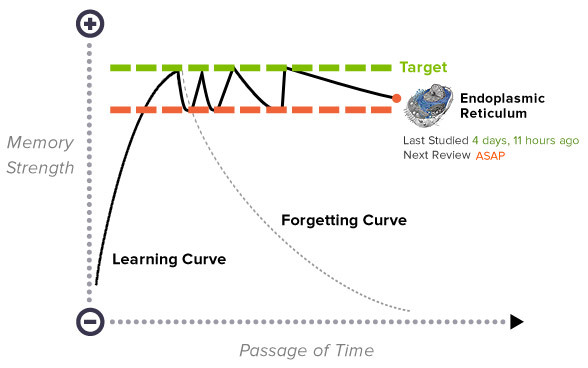 Students will have a much better idea of how to prepare for tests. But the instructors are not left to fend for themselves completely. 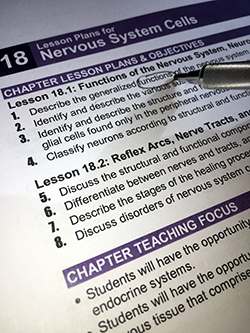 In the TEACH lesson plans—available online in the Evolve Instructor Resources that accompany Anatomy & Physiology—there are sets of objectives already laid out for you. These include chapter objectives AND section objectives—all aligned with the HAPS Learning Outcomes. The idea is that each instructor (or department) can copy over to their syllabus only the objectives that actually apply to their course. Perhaps adding, changing, deleting bits here and there. We feel that this works much better for student learning. But it does take some thought and effort on the part of the instructor. This isn't one of the reasons we don't include chapter objectives in Anatomy & Physiology, but this about this—how many times have we all realized of how "stinking big" all the two-semester A&P books are? So I'm loathe to add (how many?) pages to the book by adding 48 sets of objectives! 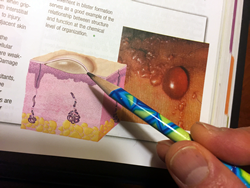 In my introductory post for this blog, I promised some behind-the-scenes trivia from the Anatomy & Physiology textbook—and I realize I have yet to deliver on that promise. So, with actual Easter eggs still fresh on our minds, I thought I'd reveal a few bits of the "hidden information" that gamers like to call easter eggs. This round (yes, I'm implying more in the future) features a few visual easter eggs. 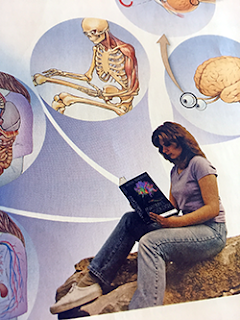 First up is that illustration in the Big Picture section that introduces the Anatomy & Physiology textbook, It's on page 2, facing the opening page of Chapter 1. The woman in the central photo of that illustration is my wife, Jenny. Early editions of Anatomy & Physiology used a different model, but we needed to update the photo for a planned rearrangement of its elements. So Jenny and I went out to our college's Lake Patton (that's what I call it, anyway), and Jenny posed on a boulder in the same position as the original model (who was sitting on stairs). 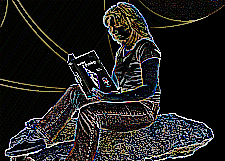 She wore clothing of similar color and style to the drawn art components, and held a book the same way. Although we have reconfigured that Big Picture illustration a few times since then, we're still using Jenny's picture. For each edition, our production team replaces the cover within the photo with a cover to match that edition. 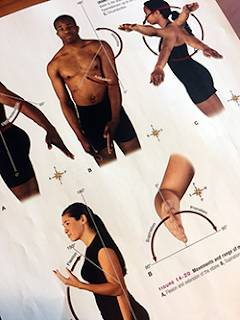 The ninth edition of Anatomy & Physiology features a whole new set of photos that depict different types of body movements, such flexion, extension, circumduction, etc. Most of them appear in Chapter 14 (Articulations). Before I tell the story of the new photos, I'd like to mention that I had some hesitation in replacing some of the older photos. I had some ideas for a new approach, so I finally made the leap to a new set of photos with a consistent presentation. But a few of the older images were from a way-back photo with my co-author Gary Thibodeau, featuring his two kids, Doug and Beth, who were teens at the time. Although I hated to lose that "family connection," I think the new images work really well for teaching, too. The new series was shot at a huge photo studio in St. Louis, just down the street from my old high school. I live near St. Louis and my editors are all based at the St. Louis offices of Elsevier Publishing. It was an amazing experience. The advanced equipment, advanced facilities, and skilled photographers and professional models, all made the several days of shooting seem more like fun than work. Before that day, I didn't even know there was such a thing as a "foot model," so it was a great learning experience, too! All those photos were shot in front of a gigantic green backdrop that curved forward to cover the floor. After choosing our final selections of each photo, the photographer digitally replaced the green background with a transparent background. By doing so, each model appears to have the page itself as a background—and the text can be easily wrapped around some of the images without being distracting. I also like the "clean" look of photos with no apparent background. A pair of illustrations on page 196, in Chapter 10 (Skin) are two more more illustrations with a bit of a story. Figure 10-19 is another photo from the multi-day photo shoot I just mentioned. 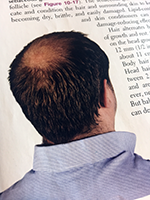 We wanted a new shot of male pattern baldness and we hadn't hired a model for just for that shot. In fact, this shot wasn't even on our planned list of new photos. But when it came up, a photographer said, "just a minute!" and picked up his camera as he ran off to a suite of offices down the hall. He came back with a smile and great photo of a colleague from an office down the hall. 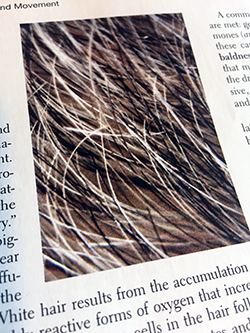 On the same page (196), that photo of the mix of black and white hairs that make up a typical head of gray hair is a shot of my head. When I was working on revising this chapter in a previous edition, I grabbed a digital camera and handed it to my wife, Jenny, and asked her to take a close up of hairs on my temple. I'm thinking of using this on the "about the author" page in the next edition. Getting back to that amazing photo shoot in St. Louis, there is one more photo I want to mention. 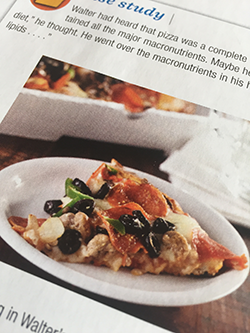 It's a shot of a slice of pizza used in a Case Study on page 961, near the end of Chapter 41 (Nutrition and Metabolism). It was nearing lunch time on the first shooting day, and an astute photographer brought up the "pizza shot" we had on our planning list. He suggested ordering a pizza from a nearby pizzeria that had very photogenic pizza that also happened to taste amazing. Although it wasn't the thin-crust St. Louis style pizza that had originated in that very neighborhood, I have to say it really was amazing. And photogenic. And it really was that loaded with toppings (no trickery, truly!). Wow, here I am at the end of a too-long blog post and I haven't even covered the tip of the iceberg. So I'll have to make this a recurring series of behind-the-scenes trivia, gossip, and St. Louis food recommendations. Be sure to subscribe, so you don't miss it! 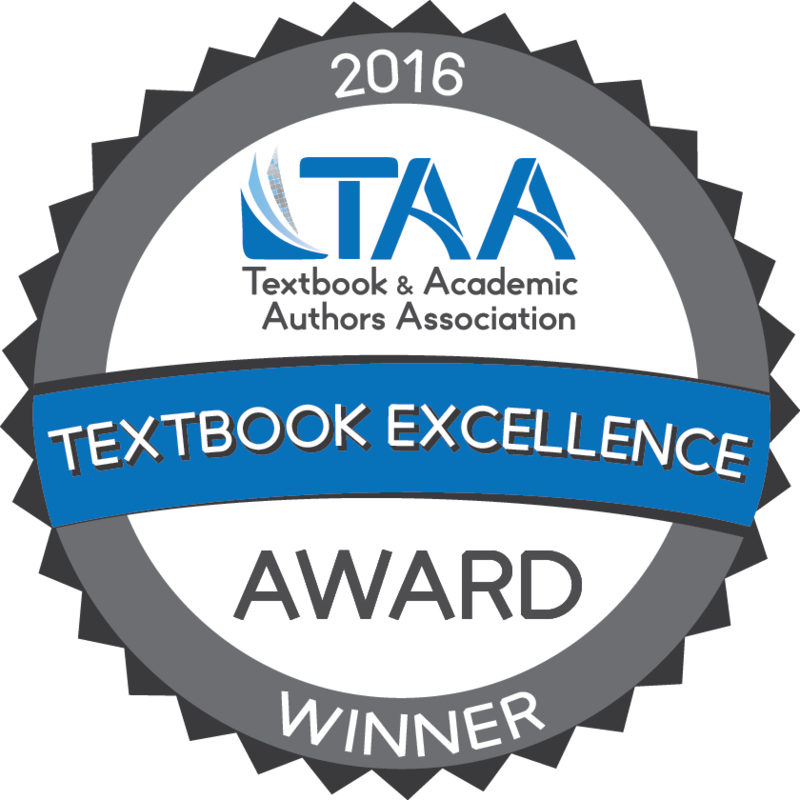 2016 Textbook Excellence Award for A&P 9e! 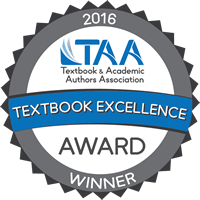 I'm happy to announce that today, the Textbook & Academic Authors Association (TAA) announced that our textbook—Anatomy & Physiology 9th edition—is a winner of the 2016 Textbook Excellence Award. This award "recognizes excellence in current textbooks and learning materials." TAA is a group of textbook and scholarly authors who work together as peers in striving to improve our effectiveness. The honor of receiving this award is enhanced by the fact that it was thoroughly examined by accomplished textbook authors in our discipline—a very humbling experience. I think the judges have recognized that our book has a unique combination of strong text narrative, illustrations, and learning features that sets it apart as an effective learning tool. I think the award also recognizes the excellent work of the many members of our team responsible for the continuing success of this textbook. Besides Gary and I as authors, there are many contributors, reviewers, editors, other publishing professionals, illustrators and designers, learning consultants, and many other colleagues, who have critical roles in producing our textbook. 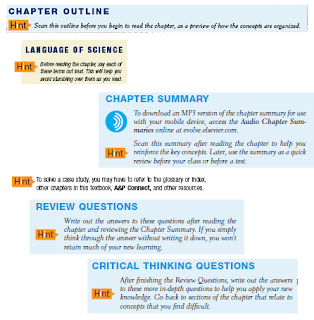 If you haven't had a chance to check out what sets this A&P textbook apart, click here and see for yourself. In the ninth edition of Anatomy & Physiology, you may notice some missing spaces in the 7th period (row) of the periodic table of elements pictured at the bottom of p. 39. 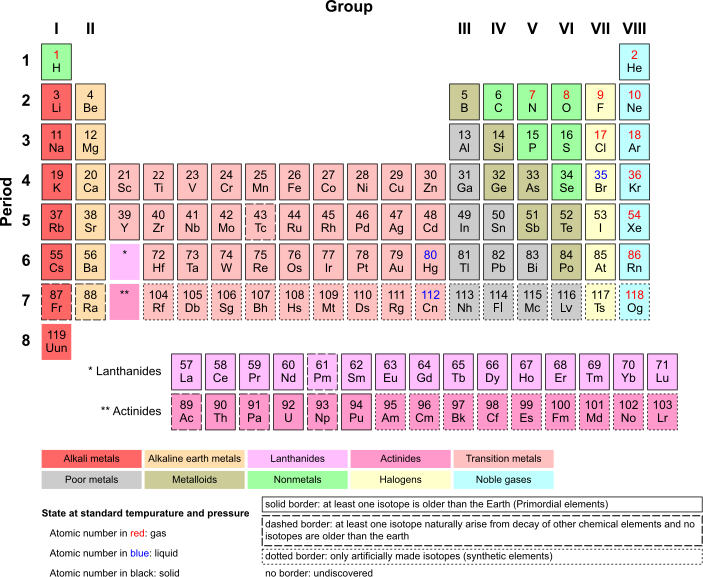 Those "missing" elements can now be filled in, according to the International Union of Pure and Applied Chemistry (IUPAC). IUPAC is the "official namer" of elements, and so it's up to them, using a very careful and deliberate process of verifying experimental results from labs around the globe, to keep the periodic table of elements up to date. Last week, while we were all getting ready to celebrate the new year, IUPAC formally announced that elements 113, 115, 117, and 118 had all be officially verified, thus "completing" the seventh period (7th row) of the table. When discussing the periodic table of elements in my A&P course, I use it to point out its usefulness in identifying the known elements and their chief characteristics. I then point out the handful of elements in the top corners of the table that are frequently encountered in the human body and, therefore, frequently encountered in the A&P course. 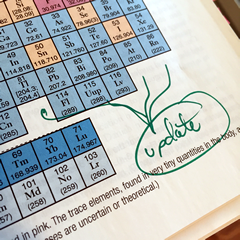 I bring this new information to your attention so that you can write in the new elements in your copy of Anatomy & Physiology. This news will not only keep you up to date; it will be there as a reference if any of your students asks about the missing elements on p. 39, or brings up a headline they recently saw regarding the newly verified elements. And it's a little bit of a preview to the next edition of A&P! 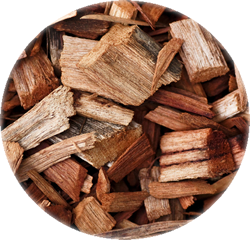 Those previous discussions described chunking material into smaller chapters, smaller sections, smaller subsections, smaller paragraphs, and smaller sentences. I also described chunking material in Anatomy & Physiology in the form of summary tables that also help students discover conceptual patterns. 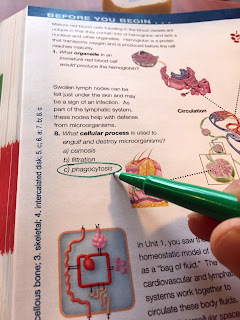 This post builds on these ideas by introducing the value of breaking textbook content into smaller chunks when adapting the textbook content to the specific needs of your A&P course. In an article I wrote last year at The A&P Professor titled Your Textbook is a Mitten, Not a Glove, I called attention to the fact that each of us tailors the depth and range of topics, the style of presentation, and sometimes the sequence of concepts, to fit the specific objectives of a course—or even a particular section of the A&P course. I believe that a thoughtfully chunked textbook assists both instructors and students in making the textbook "fit" the course. Flexibility in selecting and organizing content for your course is enhanced by having the Anatomy & Physiology textbook broken down into smaller units. 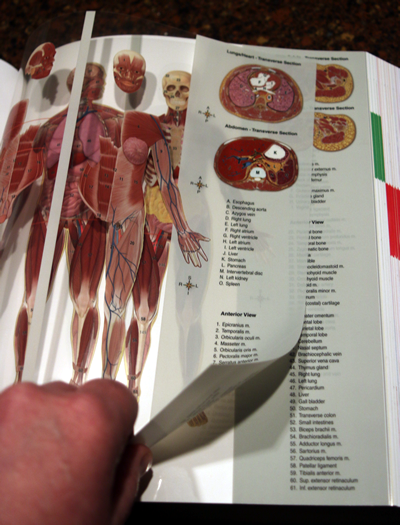 For example, by having the entire course broken down into 48 chapters—instead of the usual 20-something chapters—the instructor can "move around" content into a different sequence from the Anatomy & Physiology textbook's sequence with very little disruption to the students. Reducing disruption by being able to move whole chapters—rather than a half or third of a chapter here and there--can greatly enhance the student experience. It also makes it easier for the instructor, who is thus relieved from unraveling the confusion in syllabi, course schedules, and student inquiries. Smaller, more discrete chapter topics also makes it easier to skip a topic. For example, in some programs, most topics in immunity are not covered in the A&P course, but are instead covered in microbiology or another course. Most A&P books combine lymphatic and immunity topics into a single chapter, so an A&P professor may find themselves wrestling with the student confusion caused by assigning only a partial chapter. And "good luck" if your students are using a published workbook or online adaptive learning tool that is organized by chapter. In Anatomy & Physiology, however, separate chapters on lymphatics, innate immunity, and adaptive immunity make it very easy to reorganize—or even skip—topics to suit the needs of a particular A&P course. 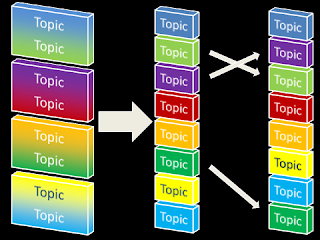 Likewise, carefully subdivided sections and subsections assist instructors in skipping or rearranging the sequence of topics within a particular chapter. 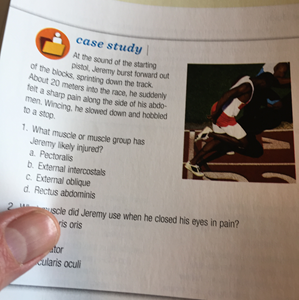 Even if the instructor does not call attention to a rearrangement of certain elements of the A&P story in class (vs. the sequence in the textbook), the clear labeling of discrete sections and subsections helps the student figure out where the concepts are covered in the textbook. Chunking has many benefits—and we can now see that enhancing the instructor's flexibility in organizing course content is one of them. And that can result in less student confusion—and greater student success. Can we assume that they know how to effectively read and use an A&P textbook? Probably not. 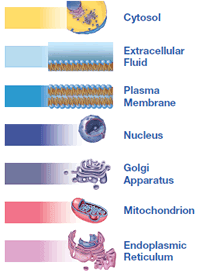 Technically detailed textbooks such as A&P textbooks are not much like books of popular literature. One cannot just sit down and read a chapter of an A&P textbook from start to finish—like you would with a novel—and expect to have learned much. And whatever you did comprehend would probably disappear from your brain by day's end. I've provided a better option in Anatomy & Physiology. Some of these strategies I've discussed here in previous posts. For example, I've already walked you through the word-study approach to reading vocabulary and The Big Picture summary of interrelationships of concepts. Take a look at any chapter in Anatomy & Physiology to see the embedded hints clearly marked with the Hint icon. If you don't have a copy, just go to this link and request a free review copy now! One of the things our Anatomy & Physiology books are known and loved for is their extensive set summary tables. Although students quickly discover how useful they are, I'm not sure many A&P professors give them much thought. But as an A&P author, I have to give them a lot of thought—and I want to share a few of my thoughts about these tables that may surprise you! 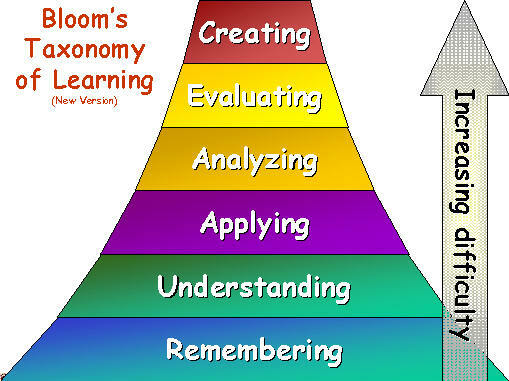 Tables help students construct a conceptual framework. Sometimes, beginning students are so overwhelmed with details that they have a hard time seeing how it all fits together into a whole idea. Summary tables bring details together in a way that assists learners in starting their own cognitive scaffold for new facts and ideas. Those of us who already appreciate "the big picture," often forget how critical it is for newbies to properly build their understanding in steps. Tables serve as a handy reference tool. 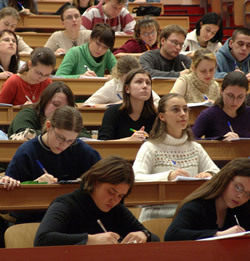 Students often use their textbooks for "raiding" specific facts, rather than reading whole sections. 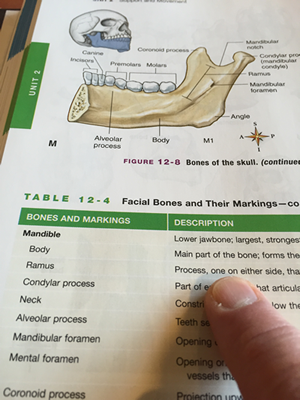 For example, when learning the bones and markings of the skeleton, summary tables can quickly and effectively give a pithy description of illustrated structures in the textbook. As professors, we often forget how much the beginner relies on such tools to get started in learning. Tables help students recognize patterns. Many of the tables in an A&P textbook are not meant to be memorized. Instead, they are used to compare and contrast ideas in a visual way that is difficult to do in the text narrative. This moves students beyond "just the facts" to how those facts can be applied in understanding human structure and function. In a table, patterns become obvious and critical thinking starts to "click" in the minds of readers. We instructors, who have already had our "aha" moments with these topics, sometimes don't appreciate how helpful a carefully arranged table can be in producing such moments. Tables must be easily readable. This may seem too obvious a fact to mention here. However, I've found that well-prepared teachers can easily read and understand even a horribly formatted, vaguely written table. 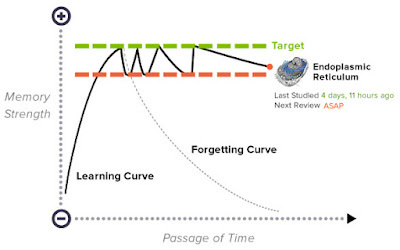 Students who are just learning the concepts often get lost as they go across a row and don't know enough to figure out where they are supposed to look next. Which brings me to my final, and perhaps most important, point . . . Effective tables are carefully designed. This is what makes a table easily readable—thoughtful design. 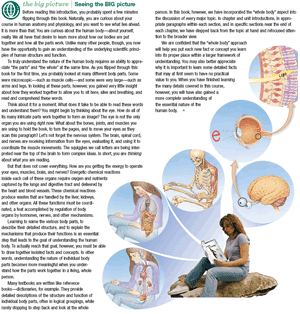 In the latest revision of Anatomy & Physiology, effective table design is a major focus. Having experimented in previous editions, I collaborated with our designer, editors, and previous students, to find a format that is both "readable" and "raidable." I'll list a few things we did to make that happen in a moment. But first, I also want to mention that I also put a lot of work into making sure that content that lends itself to a summary table is put into a table in way that complements and supports the text narrative. That is, the table content is not simply a re-hash of the text—it is a thoughtful rearrangement of concepts to add more depth to student learning. Different shades of color behind different rows of each table helps the brain quickly see logical groupings of concepts. 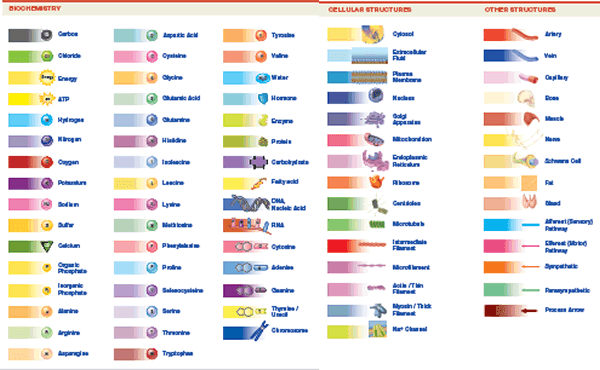 There is lot more to what goes into designing each table in Anatomy & Physiology to make it an effective learning tool. But this post is already almost too much to read in one sitting, eh? In later posts, I'll be calling attention to particular tables—especially those new to the latest edition—to give examples of how effective they are for deep student learning.